So I can finally share this monster of a project, I don't mean it was hard or horrible to do, it was just huge!!!!!!! Every time I did any work on it is seemed to grow another inch lol, well maybe not, but that's how it felt!!!! 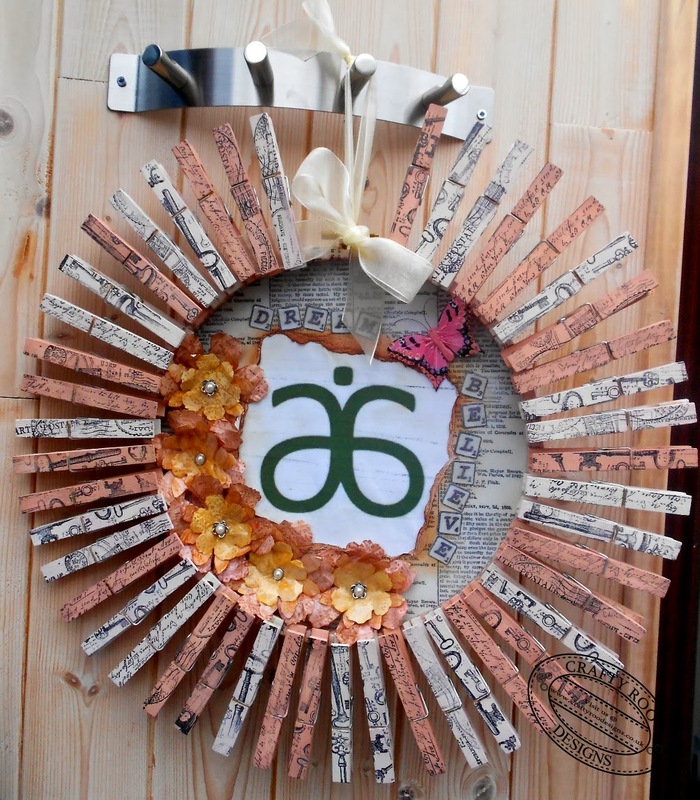 Anyway my brief for this project was to create a vision board, featuring a logo (Arbonne) and I was given some some pink butterflies made out of feathers...... well, I had never heard of vision boards used other than when re-designing rooms or buildings! So after a good old look around I decided that maybe a board wasn't quite the right thing to do as once you started pining things to it you would lose the logo! And, after all if you go to the effort of having something made and wanting a logo on it you might as well see it, right? So it's amazing what you can make using an embroidery hoop and wooden pegs!!!!! Each peg was lovingly painted, stamped, distressed, drilled and screwed - yep you read that right I GOT TO USE POWER TOOLS!!!!!!! How cool! And I know want you all want to know, and the answer is yes the person it was for loved it!!!!!!! !